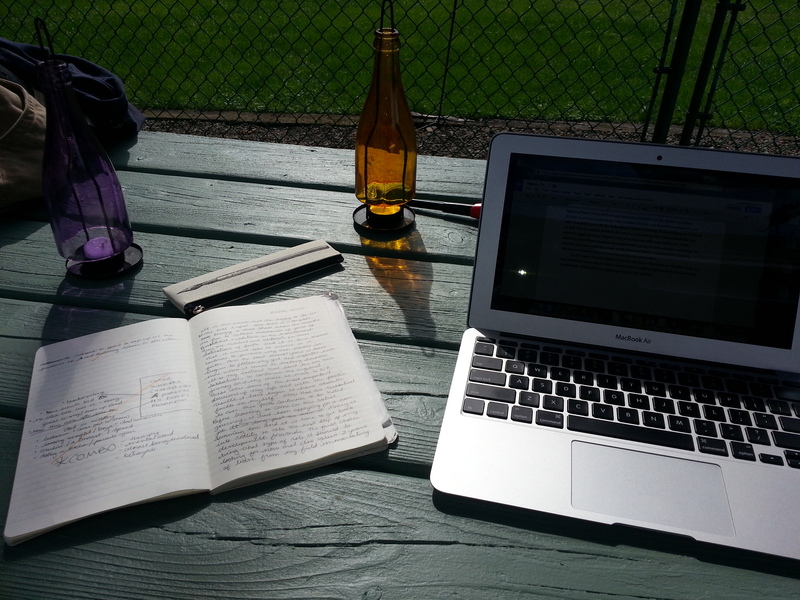 Writing outside on the sunny day is a great way of multi-tasking. Fresh air, work on that tan and getting the articles / chapters done. Turn up the tunes and pour me a nice iced tea please!